Ashton Woods Homes recently unveiled four new ranch-style floorplans at Woodstock Knoll that offer the ease of one-level living or master-on-main. 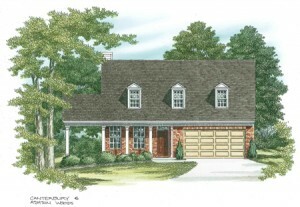 This Cherokee County community has homes priced from the low $200,000’s. The Canterbury, Rosehill, Harrington and Rockingham plans range in size from two bedrooms, two bathrooms and more than 1,800 square feet to three bedrooms, three bathrooms and nearly 3,000 square feet. Buyers at Woodstock Knoll can also choose from seven other traditional floor plans already available at Woodstock Knoll. As with all Ashton Woods Homes designs, these homes are energy efficient, saving homeowners up to 45 percent on their energy bills. Woodstock Knoll combines quaint southern charm and scenic surroundings to create a community that provides relaxation and serenity. Homeowners are within walking distance to spas, galleries, boutiques and unique restaurants in Downtown Woodstock. Community amenities includes a clubhouse with fitness room, entertaining room and hospitality kitchen; a Junior Olympic swimming pool with mushroom fountain; and tennis courts. Children at Woodstock Knoll attend Woodstock Elementary, Woodstock Middle and Woodstock High schools. To visit Woodstock Knoll, take I-75 North to I-575 and proceed north to Exit 7. Take SR 92 east for one mile to Main Street/Canton Highway/SR 5/SR 754 and turn left. Proceed 1.5 miles to Woodstock Knoll on the right. The decorated model is open daily. For more information on these Atlanta new homes, call 770-591-0244.